After the judiciary left the historic Main Street courthouse in favor of more spacious facilities on South Limestone, the 1898 courthouse was transformed into the Lexington History Museum. Nearly a decade later, the courthouse was shuttered by the city due to various public safety concerns. Efforts remain underway to restore the historic facility with The Courthouse Square Foundation leading the charge. But for the Lexington History Museum, a change was needed to ensure that they could continue sharing the history of Lexington with the community. A return to the historic courthouse would be ideal, but that vision is years away from realization and a generation of our history would be lost on young Lexingtonians in the meanwhile. So the idea to create pocket museums - small displays with rotating content in various locations was born. In time for the Fourth of July holiday last month, the LHM began phase one of the pocket museum program with locations at Victorian Square, the library, the government center, banks, and more. The current eleven topics include Belle Brezing, Dr. Thomas Clark, hotels of Lexington, and Prohibition. 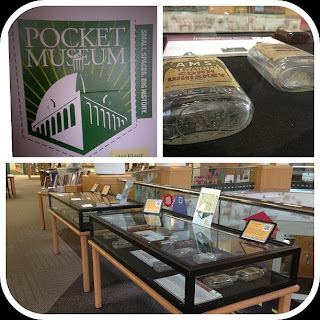 I ventured into the Lexington Public Library recently where I found Pocket Museums on Prohibition in Lexington and Dr. Thomas D. Clark. On the former, a number of local bourbon bottles were available leaving the evidence of the variety of distillers once in the area. Explanation of the Volstead Act and the 18th Amendment laid the groundwork for a "pocket" understanding of the era and its impact on Lexington. The "pocket museum" on Dr. Thomas Clark told the story of the now-deceased historian who told Kentucky's history better than any other. 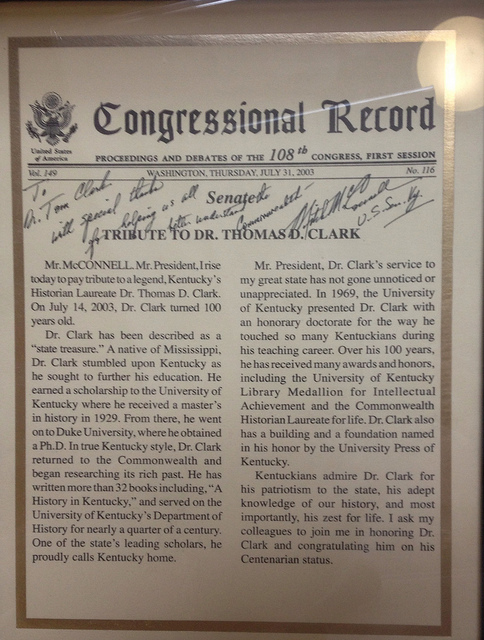 Originally from Mississippi, Dr. Clark was also influential in the foundation of the Lexington History Museum. All of the current Pocket Museums are downtown and it is definitely worth exploring. 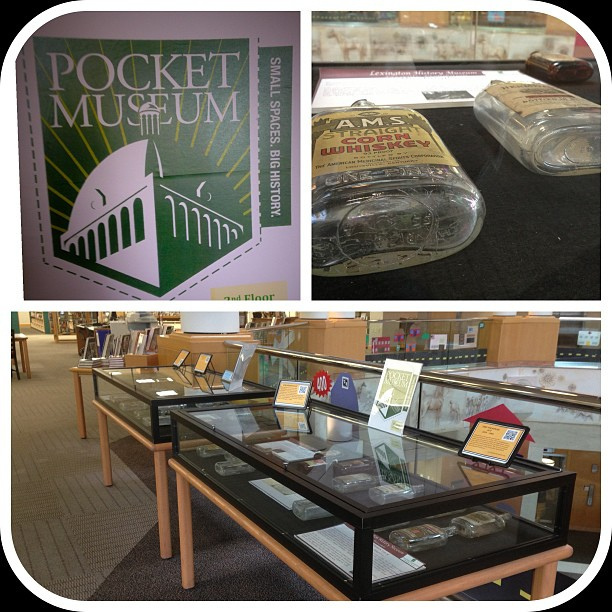 More information about the Pocket Museums can be found on the website of the Lexington History Museum, lexhistory.org.